Barbara Cawthorne Crafton is an Episcopal priest and author. She heads The Geranium Farm, an institute for the promotion of spiritual growth. The Farm publishes her Almost-Daily eMo, a meditation read online by tens of thousands worldwide via email and right here at the website. She is currently interim rector of St. Luke's Episcopal Church in Metuchen, New Jersey, and has served a number of churches, including historic Trinity Church, Wall Street, St. John's-in-the-Village in Greenwich Village, and St. Clement's in Manhattan's theatre district. She was a maritime chaplain on the New York waterfront, and served as a chaplain at Ground Zero after the attack on the World Trade Center and also served at St. James, the American church in Florence, Italy. A spiritual director, Crafton leads retreats and teaches throughout the United States and abroad. Her many books include books of essays (The Sewing Room, Yes! We'll Gather at the River, Some Things You Just have to Live With), books of daily meditations (Let Us Bless the Lord (Vols 1-4), Meditations on the Psalms, Finding Time for Serenity, and several others; a book of poetry (Blessed Paradoxes), a book about the current wars in Iraq and Afghanistan in the aftermath of the World Trade Center bombing (Mass in Time of War) and, most recently, a book about how people of faith experience depression (Jesus Wept: When Faith and Depression Meet). K.L. 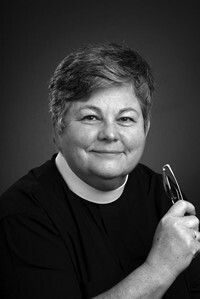 Joanna "DJ" Depue is an Episcopal deacon and writer of "More or Less Church" on the Farm. On MOLC "DJ" alerts readers of spiritual blogs of note, resources for music, liturgies, and sermons. as well as writing original music, prayers and meditations for Sundays and Feast Days. Deacon Joanna also records Barbara's eMo's on Audio eMos from The Geranium Farm and maintains Farm e-mail listings. In the Diocese of New York she works with the Canon for Education on retreats and the Acolyte Festival. She was a chaplain at Ground Zero during the recovery effort after the WTC bombing. 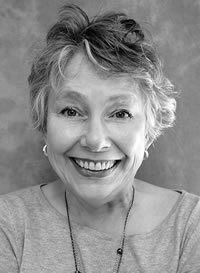 Before her training for the diaconate, Joanna worked in stand-up comedy, community and regional theatre productions as an actress and musical director. She has held different "worldly" jobs, including working for a company that publishes a law directory, Prentice-Hall publishing catalogue department, dog sitting and training, massage therapy and, for over 27 years worked with participants and retirees in the pension department of the United Nations. During her tenure there the Secretary-General appointed her to the Panel on Discrimination and Other Grievances. 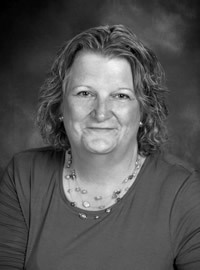 Debbie Sharp Loeb is a teacher by training in Reading, Elementary and Special Education. Her teaching career specialized in remedial reading before becoming a full-time mom to her special needs son, David. As a craftsperson, photographer, quilter, great cook, creative homemaker, terrific spotter of cool new products and ideas, she has created Hodgepodge where you will find: recipes, household hints, stories about children, friends and relatives along with other cool stuff, interesting websites, and much more. At Hodgepodge you'll find a friendly place where readers can share and exchange ideas, not unlike hanging out after church at a Sunday morning coffee hour. She thought up the idea of "Pennies from Heaven" for the Geranium Farm as a fun and easy way in which children can raise money for Episcopal Relief and Development. Recently, she co-chaired a recipe book for her parish and someday would love to publish her own book from some of the ideas that have appeared in Hodgepodge. Debbie lives in central NJ with her husband, Paul, her two sons, David & Brian, and Maggie, their ever comical Westie.